So it’s been a very exhausting and exciting week in the life of Kels. Not only did I go to that Songwriting workshop this weekend, but I also recorded another demo for a commercial for a friend of mine. The character? A fairy rockstar. Also! It was my parent’s 36th wedding anniversary yesterday. Have I mentioned they are incredible? Because they are. 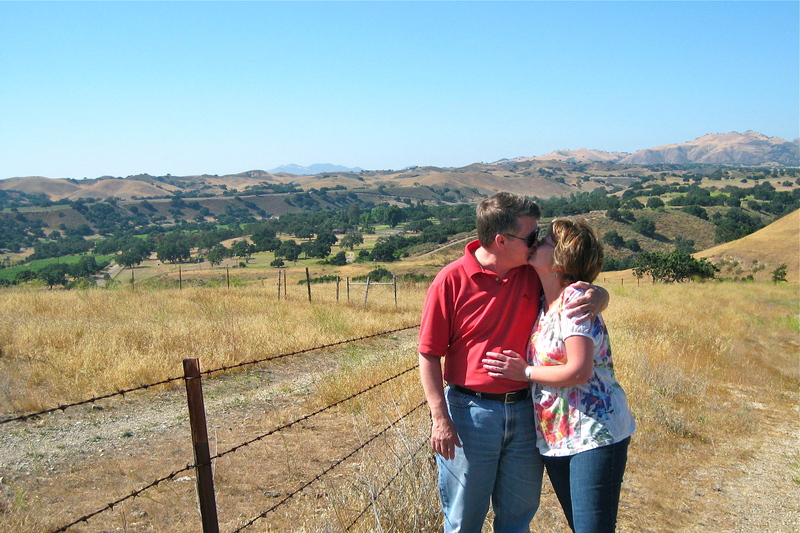 Here they are in July of 2010 visiting Brad and I out here in Cali. Such a great team and such wonderful parents. My inspiration. Love you two!! And I threw in a couple grapefruit and asian pears from the Farmers Market, Rosemary and Thyme from our little garden, Santa Barbara Pistachios (my dad loves them), the last of the holiday Limoncello, and a few lottery tickets to give the whole “get Grandpa out of their house” a little push. My mom said if they won, Grandpa might even get lucky enough to get put up in a really nice hotel. I’ve also been working on getting back into the Mixology Mondays, now that the holiday season is most definitely over and our new bar manager has things under control. 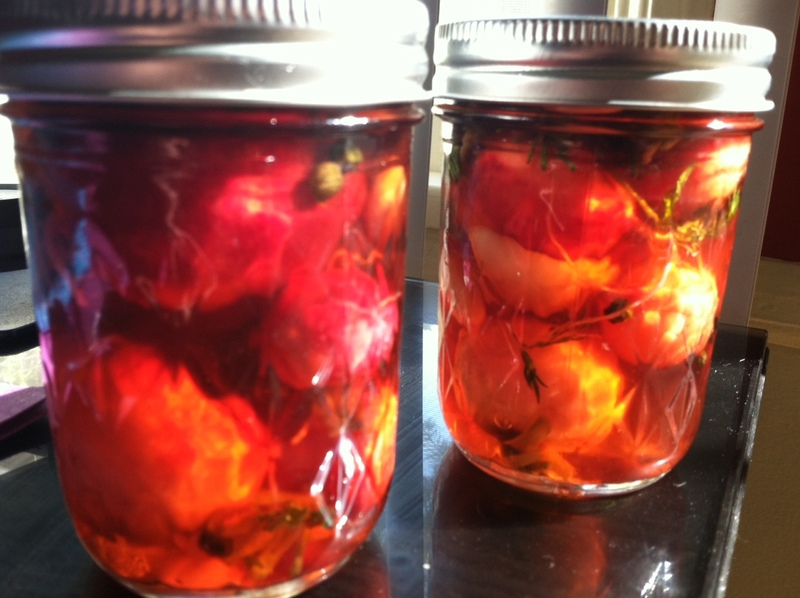 Look for tasty cocktails to come! 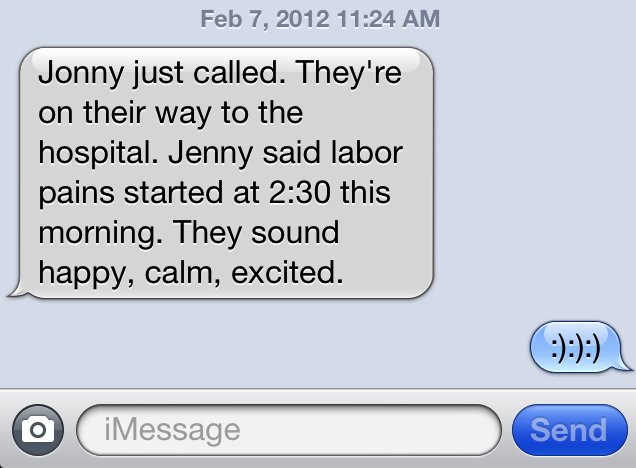 And finally, the most exciting anything of the week so far, I got a text early this afternoon that Jonny and Jenny were heading over to the hospital because of contractions! !